We are proud to introduce our new Orbital Red Hearts, a very simplistic piece but a beautiful design. 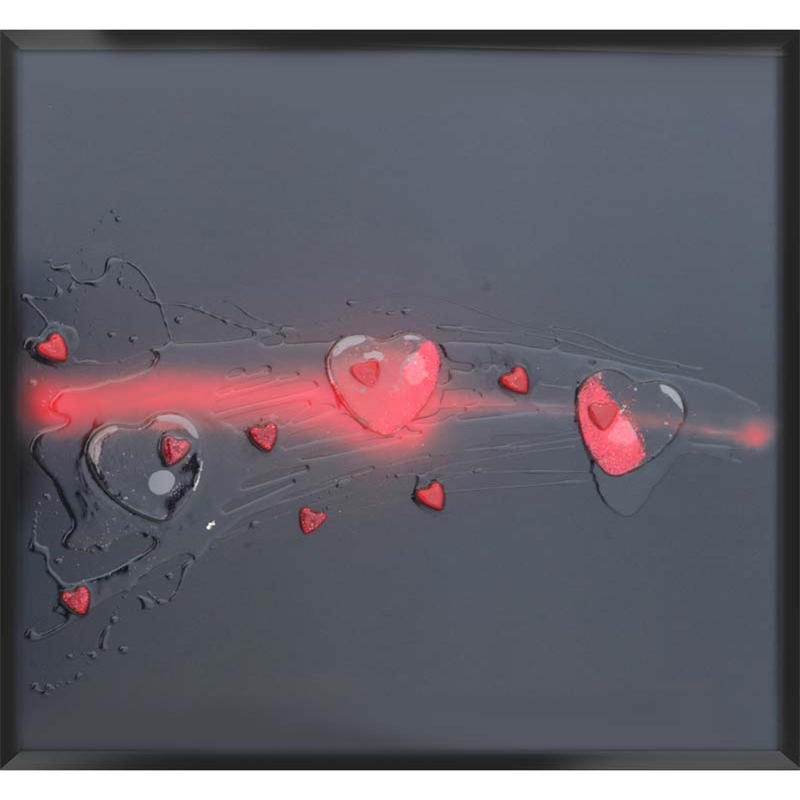 Coming in our set size: 75cm x 75cm but this piece is also available to purchase in custom sizes.Consisting of a very dusty grey background with a red orbit like design and miniature hearts. A quirky and edgy but still elegant piece, a design you will not regret buying.